Suddenly the UIDAI helpline number is visible in the user’s contact list, this problem is not within all smartphone. It is believed that because of the account syncing with Google it is appearing. Some users say that when you buy a new SIM card, this SIM card already has some preloaded numbers. That's why this number appears in the mobile phone book. The organization that working for free internet and digital rights – “Access Now” has been told that there are four chances here, due to which this contact number will appear in your phone contact list. The first thing is that, if any app like M-aadhaar, Paytm , Bhim has been used in your mobile then this number may have come from there. Second thing, If the aadhaar number is given at the time of purchasing the SIM then it can also come from there. The third thing is that it may be that you have used any service which is linked to the Aadhaar, for example, mobile banking. the fourth and last thing said that a foreign company might have put this number to track people and to build their profile. Experts say that if someone can reach mobile in this way, then you can be profiled and tracked. In this way, if an unknown person saves any information in your mobile phone and you do not even know can be dangerous for personal and sensitive data. The question is being raised by a lot of people on Twitter that how UIDAI can save a number in their phone book without consent. French security expert Elliott Alderson has asked UIDAI on Twitter that, without registering for the Aadhaar card and without installing the mAadhaar app in mobile, why the number (1947) appearing in the user’s contact list by default? 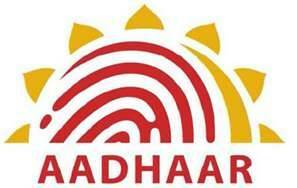 UIDAI replied on Twitter that the number which is saved in the user’s phone is 1800-300-1947. It is the helpline old and invalid number. More ever added that this act has been done intentionally to create confusion in the peoples. Just a few days ago French ethnical hacker Elliot Alderson proved that Aadhaar data are not secure. And now we are watching another strange issue a number is being saved in user smartphone without his consent. Whatever, statement central government issuing but the fact is that there are some loopholes that provide accessibility to the third party. The UIDAI should take it seriously.